July 20, 2009, Jerry Patterson, Commissioner of the Texas General Land Office, on Friday requested that the Texas Railroad Commission hold hearings into Exxon-Mobil’s intentional sabotage of oil wells in Refugio County as well as the company’s fraudulent reports covering up the damage. The “show cause” hearing would require the America’s top oil producer to explain why it should not pay administrative penalties that, theoretically, could exceed $1 billion. According to Texas Railroad Commission regulations, Exxon-Mobil could face penalties of up to $10,000 per well, per violation for every day since 1992. With over 100 wells in the original lease, the financial punishment could be enormous, but a conservative estimate puts the figure at least in the hundreds of millions. The case centers on a dispute with the O’Connor family, a venerated Texas dynasty with roots going back to the Republic. In the 1950s, Exxon-Mobil negotiated an oil lease with the O’Connors for their oil-rich expanse of land in Refugio County. 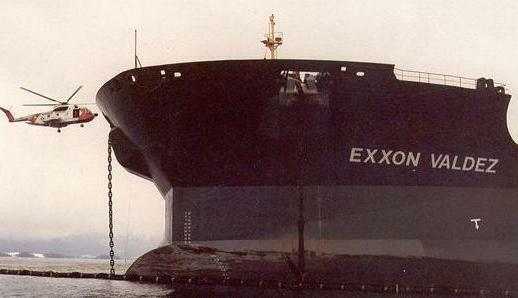 When the relationship turned sour in the 1990s, Exxon-Mobil terminated the lease and plugged the wells. As per state rules, Exxon filed paperwork with the Railroad Commission outlining its well-plugging procedures and filed sworn affidavits as to the final condition of the wells. The O’Connor family soon learned those reports to the Railroad Commission were fraudulent. When an independent producer, Emerald Oil, attempted to capitalize on new legislative incentives to reopen abandoned wells, they found the old Exxon-Mobil wells hadn’t been plugged but sabotaged — filled with junk, cut well casings, contaminated oil tank sludge and even explosives. Many of the wells were left unrecoverable. In the subsequent litigation between Emerald and Exxon-Mobil, the trial court found Exxon-Mobil had intentionally, systematically and secretly damaged the wellbores and lied about it in the Railroad Commission filings. A Court of Appeals upheld the ruling, and the matter went to the Texas Supreme Court. The Supreme Court did not rule on the merits of the issue, but reversed the ruling on a statute of limitations technicality. This week, Patterson asked the Supreme Court to rehear the matter given the serious nature of the crimes involved. As commissioner of the Texas General Land Office, Patterson is a fiduciary to the Texas Permanent School Fund. Oil and gas produced on Permanent School Fund lands have earned more than $11.5 billion for the Permanent School Fund, which helps offset the state’s share of funding for public education. Patterson, a Republican, reiterated that he was not siding with environmentalists in their war against Big Oil, but rather would like to encourage oil production through solid enforcement of the law.